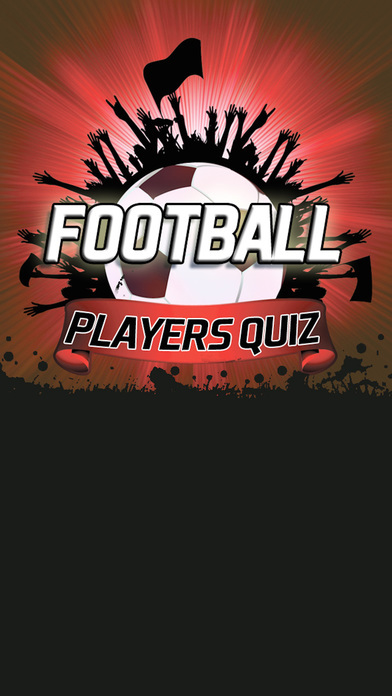 Test Your Football knowledge with our Football Players quiz! 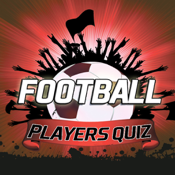 Guess the names of the top 275 football players by correctly identifying their face. 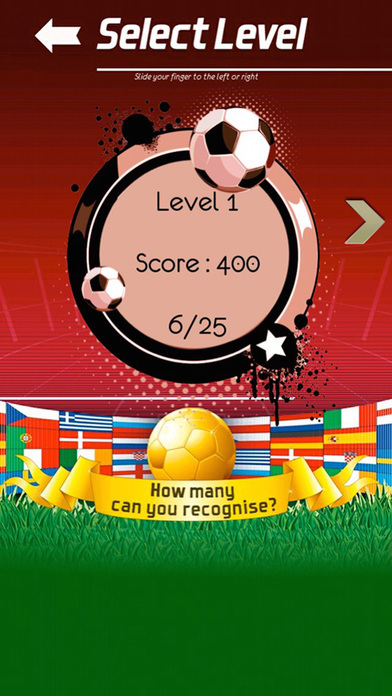 To help you along the way you can earn hints and tips as well as stars that will reveal the less obvious ones! If you still get stuck you can also ask a friend on Facebook and Twitter to help you with the answer. 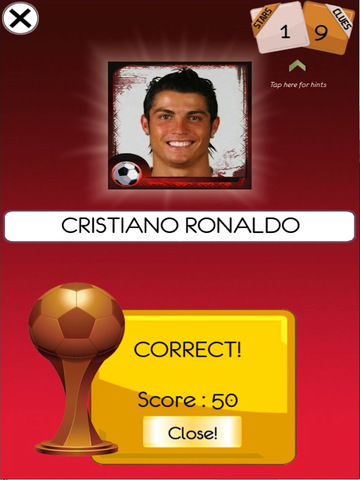 Type the full name of the player for maximum points or alternatively type just the first name, surname or nickname for a pass. Check your achievements and how you ranked compared to your friends on the Game-centre Leaderboards .. If you share the game on Twitter via Options menu (not badge sharing in guess menu), you gain 10 hints. You gain additional 10 hints via Facebook share in Options as well.